The good: Testimonials suggest that the ingredients will increase metabolism, however no clinical studies prove this. The bad: Overly hyped non-effective ingredients, and questionable marketing products. 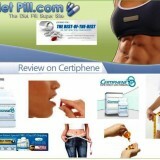 The bottom line: Stay away from this pill, the label doesn’t even tell us how much of each ingredient the pill contains. The free trial they offer is an excuse to put you on an automatic billing program that could be hard to get out of. 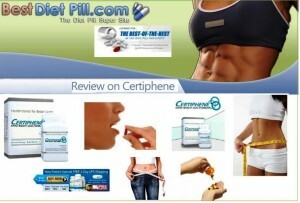 Certiphene is a diet pill that claims to foster weight loss through fat burning. Most of the ingredients included in this diet pill are there for the purpose of increasing metabolism which in turn fosters weight loss. However, these ingredients were not proven to be efficient since most of them were just hyped so as to seem more legitimate. The ingredients are not at par with the required amount so that the full effect of the ingredient could be felt. Users who have the tendency to be allergic in some ingredients will never know how dangerous this weight loss pill is. All of these ingredients were proven only through popular testimonials but never in actual laboratories. Ginseng is a very popular ingredient because it is known to increase blood flow in the body which will eventually increase metabolism. However, it is still a popular belief without any clinical background. Hoodia is a product from South Africa that’s also hyped to control the appetite in the body. The companies that are using Hoodia as an ingredient cannot truly justify its efficiency because no one was able to test its efficiency in a laboratory. Chromium Picolinate is known to boost metabolism but only when high dosage is taken. Certiphene doesn’t have enough chromium so that it could foster increased in metabolism. That is probably the reason why the volume of chromium and other key ingredients were kept hidden from users. L-Ornithe and L-Arginine (amino acids) and Kola Nut and Guarana (plants) are ingredients that are know to be effective in their own way. The amino acids mentioned are known to help tone your muscles while the plants are known to provide a good amount of caffeine as an energy booster. However, the amount of these amino acids and plants are unknown so it’s easy to say that it could be dangerous for you since you do now know how much you are taking. The amount of Gymnema to control the sugar in our body is not enough. Gymnema has to be at least 400mg before you are assured of its efficiency and again, it is not indicated by the manufacturer. Bladderwack is a product that contains high amounts of iodine which give the user additional energy. But constant use of this ingredient is not recommended because of heavy metal concentration. Aside from these ingredients, the marketing strategy of Certiphene could be though as a little bit of a scam. They will entice you with a free trial of their product but if you do not cancel in time and return to them their pills, your credit card will be automatically billed. Be sure to look for a product that is honest about the content and their marketing strategy. Certiphene is clearly not one of them. certiphene is a good idea for balanced diet because when i tried this it really helps me to reduces my excess fat.